Writing for Quality or Quantity? This quote from On The Media’s podcast this week sent a shiver down my spine. Matthew Ingram, a senior writer for GigaOm, discussed the issues of book costs and the Amazon issue. What I got from Ingram’s segment was that by writing short, not so well written books, and selling them on a Kindle for 99 cents is better than increasing book prices. Before going any further, I will admit I am not a Kindle, Nook or any other type of ebook owner. Personally, I enjoy the smell of books, (strange as that may sound since they usually stink) and being able to physically touch each page. To me, the convenience of Kindles or other ebooks are not worth what they are taking away from the readers–the physical act of holding a book in front of your face. Anyway, when Ingram made the above statement, it sent my mind in a whirlwind. Are more people publishing books that will never be the new Pride and Prejudice classic but will be cheap and easily accessible? In my opinion, I would rather spend more on a well written physical book, than get myself a crappy e-version for 99 cents. It also makes me wonder what is going to happen to the book industry because of all these media advances. Are physical books going to stop being an option? Will we only be able to download audio books on our iPods? I am all for the conveniences that new media provides, but take away my smelly, heavy, well written books, and new media and I may have a problem. PLEASE try to remember to click the category box when you make a post, this way it will show up under that category when searched for. Thanks! So as you can see I have started to play around with the blog templates. I really want to make it look like a blog that has to do with media. Unfortunately none of the themes available really have anything to do with media. But, I will try to incorporate it in some way. I also have started to categorize our blog entries. What I realized is that the program actually archives entries on its own by year. Then, if I want to categorize it further I have to create categories. What is bothersome is that in order for a blog having to do with someone’s semester project to become categorized under “Semester Projects 2012” when you write the entry you must click off the box to your right that says “Semester Projects 2012.” Otherwise the post will just get filed under “Uncategorized.” I am trying to come up with as many different categories as possible so that no one writes a post and has to wonder which category it would fall under. I do wish it was automatic, as if the program could recognize the post has to do with a certain category, and then will list it under that category (this may be asking too much from wordpress, but it really would help). Anyway, something I wanted to throw out to everyone has to do with any entries not having to do with our semester projects, research papers, or NPR’s On the Media. For example, Paul’s recent post does not fall under any of these categorizes and I’m having a hard time coming up with a category name besides “Other.” So, any help in that department would be greatly appreciated. I also just added an author grid that shows all our avatars. When you click the author it will direct you to all the posts made by that author. For right now I am really focusing on getting all the entries categorized, as it is a long process. I may come back to look at different theme options, but please feel free to throw out any suggestions. After all, this blog is about all of us, and I really want to know why YOU want from it! This week’s On The Media podcast involved video games. Not the bloody, gruesome, sniper filled games my brother likes to play, but games portraying real life. Now, I would not say I am completely against violent video games, I just think they should be played responsibly; where the player doesn’t get lost in some virtual death trap of a world. With that out there, I was intrigued by the games suggested by creators, Anna Anthropy, Sebastian Janisz, and Michael Molinari. These games, based on memoirs and diaries of real people’s lives and experiences, sound compelling. Of course I realize playing a game without killing may sound boring to some. What’s the thrill? What do I get out of it? I pose these questions as a person who does not play video games, so I can only imagine what those who do must think of these games. Anthropy’s game, called “Disphoria,” is based around her personal struggles with transgender hormone therapy. I do see how this game is probably not relatable to most, but how many of us battle monsters or hold sniper guns in our day-to-day lives? What excites me about these games is that they are based around reality. A reality of struggle people can relate to, regardless of the kind of struggle it may be. The other two games, “That Was Yesterday,” and the last, one about depression, work in a similar way. Real life struggles are transformed into huge, dense walls to overcome. The solution is not climbing the walls, but patience, and other qualities that are not often found in the video game world. I wonder how many people will be willing to play a game that reflects real life situations and feelings, instead of exhilarating killing sprees. 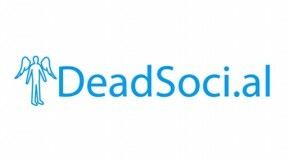 Dead Soci.al? Really? So I die, and before I die I make a series of Facebook messages and tweets to be let out once I’m dead? I cannot even believe this is real. Listening to this week’s On The Media story about Dead Soci.al, a media site that allows you to “communicate” after you’re death, made me actually laugh out loud. So right now I’m picturing someone sitting at home, bored…and then deciding to update the messages they want to send out to family and friends once their dead. Why would anyone who is still alive and with us want to write messages to people when they’re dead? I mean I understand people wanting to be prepared but really, this is too much. Whatever happened to living life to the fullest and enjoying everyday? Or living with no regrets and actually telling people what you want to when you are still living? In my opinion, I would never want to become a part of this, and I would never want to receive a message from my dead friend, family member, or anyone. Another aspect of Dead Soci.al that caused a chuckle was the way they determine if a user has actually died. So if I am an active Facebook user and haven’t logged in for a month or two, just assume I died. I mean really people? Maybe I found something better to do than stalk Facebook for a month. 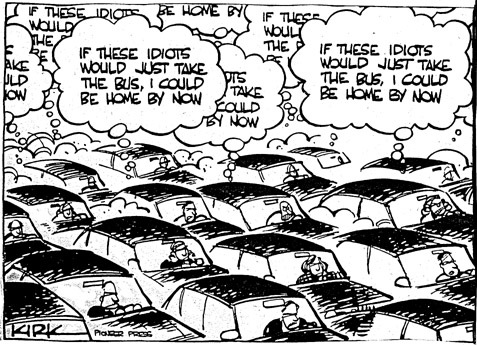 Maybe I’m on vacation, or busy, or doing anything else a living person does. In a more serious light, this actually makes me worry. Do we feel we really need to be connected at all times, even in death? It is one thing to want to be bound to our phones and electronic devices in life, but I can’t imagine anyone would feel comfort by receiving a tweet from the deceased. Continuing our class discussion, I personally do feel betrayed by the KONY2012 video. I had never heard about the issue prior to watching the video that day in class. It provoked such a strong emotional reaction from me that after class I actually called my sister telling her to watch it and that we needed to join and help. After finding out all the aspects of the film that are not 100% truthful or accurate, as well as Russell’s subsequent actions, I have no problem admitting that I feel deceived. Yes, maybe I should have taken it upon myself to reach out and discover more about the issue, but the emotional nature of the video made me almost lose sense of reality. The video romanticized this issue so much so that I feel I was watching through rose-colored glasses. I didn’t think about whether or not everything was accurate, I trusted (however naïve it was of me to do so) that no one would make a video displaying such horror if it wasn’t true. Now, after reading about Jason Russell’s current mental health state, it pulled me down from my emotional high to realize he is just a normal person, not a knight in shinning armor. The fact that after 2 weeks of the video going viral Russell is a now a mental mess, makes me wonder how he could ever do any of the things he talks about in the video if he can’t even take the video’s popularity. Personally I think his diagnosis is a load of bull, to be frank. Maybe he reacted this way after visiting Uganda, maybe he reacted this way while making the video, but I just don’t buy that the video’s popularity caused this “psychosis.” Perhaps now that he is in the public eye, a sort of celebrity, things he used to do, (maybe drugs?) are now public knowledge. All in all I feel betrayed for the simple fact that I genuinely wanted to believe in Jason Russell’s message. The fact that it is now marred by criticism takes away from the “truth” I originally saw in the video.